An announcement letter is a type of letter used for a number of business and personal situations. In business, an announcement letter can be written for a number of purposes - key events requiring an announcement letter to staff and/or customers would be a change in management, a new policy, the launch of a new product, or financial summaries for investors. Also, personal announcement letters are common - for instance, to announce a wedding or a birth. In this article, we will focus on announcement letters for business, and though some of the tips discussed below will equally apply for personal announcements. 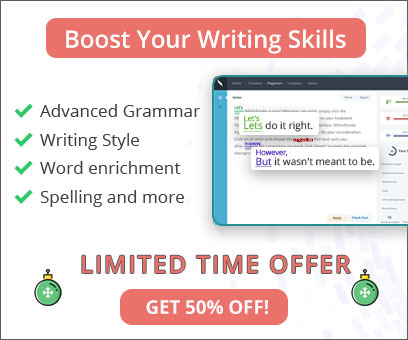 First we will present some tips for an announcement letter, and then show how a quality English grammar software program will turn your announcement into a truly professional piece of writing. Write in a concise and straightforward manner. WhiteSmoke can help you here by improving your writing style through text enrichment. Consider the goals of your announcement letter. You are not only making a statement (such as announcing a new product), you are also building goodwill, improving customer confidence and loyalty, and creating new business relations. Ensure that your announcement letter contains all the necessary facts, but not extra information that muddies your purpose. If you have to make an announcement of bad news (for instance, less than satisfactory stock results), be direct and optimistic for the future. After writing, do one or two passes over the text for proofreading. Check for - grammar errors, spelling mistakes, awkward phrases that could be fixed with punctuation; dull or lifeless sentences. Proofreading takes time, and you can greatly reduce your proofreading time, as well as increase your error detection, by using WhiteSmoke, the ultimate proofreading tool. Following these tips, you will have a good outline for a successful announcement letter. In order to carry your announcement to the widest possible audience, you also need to make sure your writing style, your grammar and your spelling are of a high standard. A good announcement letter will be written in a persuasive way with the target audience in mind, using a rich English vocabulary. Also, running a spell check is essential - spelling mistakes abound in written texts, yet are easily dealt with using accurate proofreading software like WhiteSmoke. Let's have a look at an example announcement letter. Below, we have an original text that announces a new product being launched by a company with an established market presence. We then take this text, and following the above tips for an announcement letter, re-write the letter. 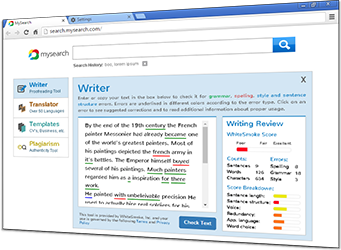 We also use WhiteSmoke online writing tool to fix the grammar and spelling errors in the original, as well as help us enhance the text with its unique text enrichment. M4U V2.5 now here ! M4USoft are announces the imminent release of M4U V2.5. This release includes many new features and a couple of minor bug fixes. There is also a collection of over 250 pop hits from the 80's. The upgrade to V2.5 is free for all M4U V2 users, and $19.95 for user of M4U V1. This be the most power and usable M4U release to date. M4U music manager V2.5 now available for download! M4USoft is pleased to announce the imminent release of M4U V2.5. This release includes many new features implemented due to customer feedback, as well as several minor bug fixes. Users will also find a free collection of over 250 pop hits from the 80's - downloadable from right inside the application! The upgrade to V2.5 is free for all M4U V2 users, and $19.95 for users of M4U V1. We thank our large community of users for their feedback, helping this to be the most powerful and usable M4U release to date. In the above example, we have taken a badly written announcement letter and improved it with our simple tips and the WhiteSmoke online proofreading tool. If we just followed the tips, we could have a good letter that was let down by sub-standard English grammar and spelling. Writing is often done quickly, and sometimes there just isn't time to do a proper proofread of all your letters. This is where WhiteSmoke comes to the rescue.